Thomas Cook Airlines is a British airline based in Manchester, founded in March 2003. This airline flies to 72 destinations worldwide using a fleet of 34 aircraft. Thomas Cook Airlines is one of many subsidiary European airlines that make up the Thomas Cook Group. 2016 was an impressively punctual year for Thomas Cook Airlines flights out of the UK. Nevertheless, delays and cancellations did still occur. If you’ve been subjected to flight disruption with Thomas Cook Airlines, we will help to enforce your right to compensation. You can check your eligibility, for free, with our straightforward online calculator. When does a delayed flight qualify you for compensation? 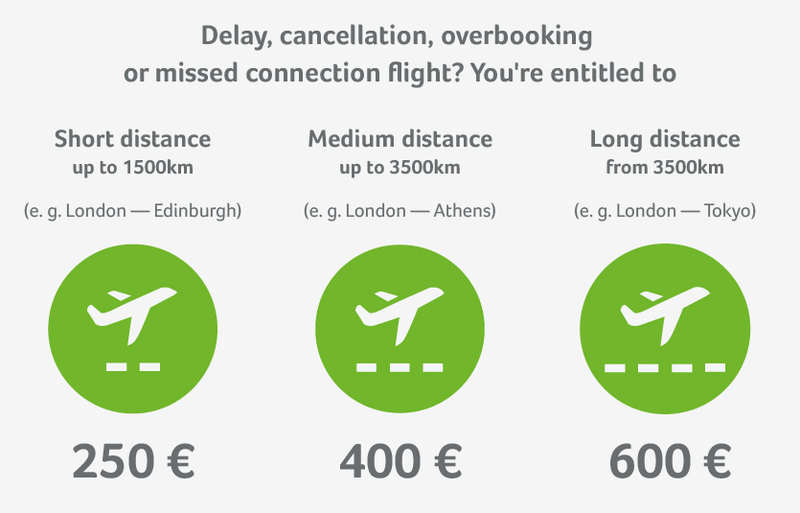 If your departure is delayed for longer than 5 hours, you have the option to cancel your flight. The airline is then obliged to either reimburse you or offer you an alternative transportation method. If the airline postpones your departure until the following day, they must put you up in a hotel for the night and cover the cost of getting you to the hotel and back to the airport. Contact the airline directly and ask for confirmation of your hotel room and transfers to be provided in writing. Important: Don’t take any excuses from Thomas Cook Airlines! Vouchers for food, drinks or hotels don’t absolve their responsibility to issue compensation for disruptions. Thanks to our superior knowledge in this sector, we enforce compensation claims against airlines with very high success rates. This allows us to guarantee a completely free service if your case is unsuccessful! Thomas Cook’s main hubs are in Manchester airport and London Gatwick, and the airline operates between 72 destinations worldwide, using a 34 strong fleet consist of Airbuses and Boeings. Thomas Cook Airlines transported a total of 6.6 millions passengers in 2016 and was voted the world’s leading charter airline at the 2016 world travel awards. In 2016 Thomas Cook Airlines fared far better than most of their counterparts in terms of flight punctuality. Only 11 flights were either cancelled or delayed more than 3 hours throughout the year which no doubt shine some light on their 2016 world travel award accolade. Thomas Cook has made a great strides in both acknowledging customer claims and issuing payouts in a timely fashion. They do still sometimes have to be taken to court but at least they are making an effort to be better. You are able to check-in online between 24 hours and 2 hours before your departure with Thomas Cook Airlines. Making use of this facility will speed up your journey and is the best way to avoid queues at the airport. An efficient way to organise your trip with them is to download their app. More information about Thomas Cook is available here.